This collection features a great combination of assorted water-soluble media, putting a whole range of creative possibilities at your fingertips! 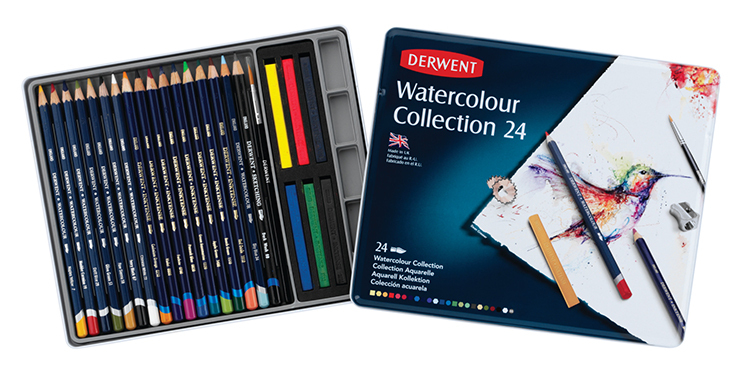 It is an ideal introdution to Derwent's watercolour range; use the pencils separately or together to create a range of exciting effects. The variety of products included in this set mean that your creativity is limitless! Colours can be blended together to create new, exciting tones. 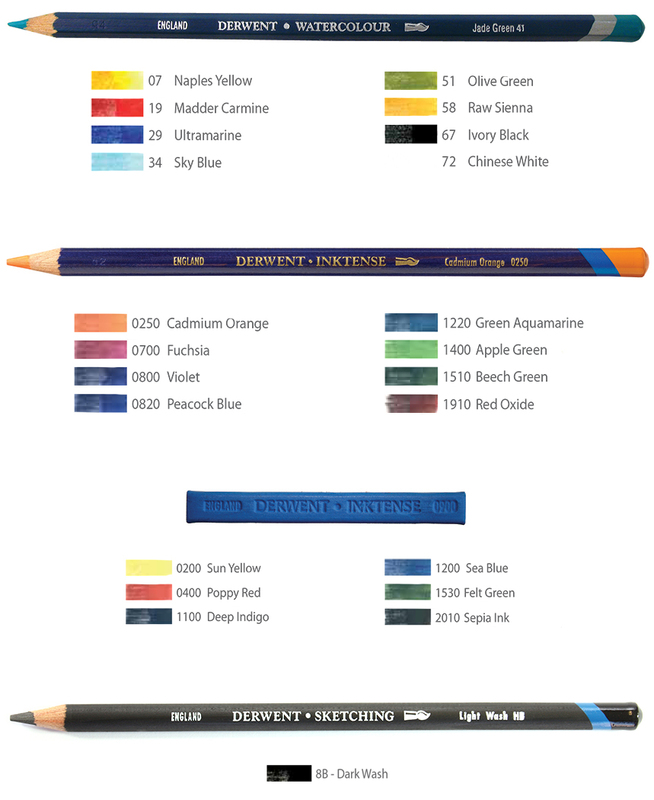 The Inktense blocks are superb for creating bold, expressionist marks, and the pencils are excellent for finer details. This collection also includes a small brush, so you are ready to paint straight away! This set is ideal for beginners and hobbyists, and makes a thoughtful and imaginative gift!